Tremendous progress has been made in the field of immunotherapy through various research studies and clinical trials. This work has led to significant breakthroughs in the treatment of malignant tumors. Immunotherapy treatment is an additional treatment option to other novel approaches, including immune checkpoint inhibitors and signaling pathway inhibitors; those have demonstrated clear efficacy in the treatment of numerous cancer types. Some examples include malignant melanoma, kidney cancer, lung cancer, and urinary bladder cancer. Adoptive cell therapy (ACT) has also shown clear effects in the treatment of different malignant diseases. ACT is a highly personalized cancer therapy that takes advantage of immune cells that infiltrate tumors for direct anticancer activities. ACT utilizes either natural host cells, such as lymphokine-activated killer cells (LAK), cytokine-induced killer cells (CIK), tumor-infiltrating lymphocytes (TIL), and cytotoxic T lymphocytes (CTL), or host cells that have been genetically engineered to possess antitumor T cell receptors (TCRs) or chimeric antigen receptors (CARs). 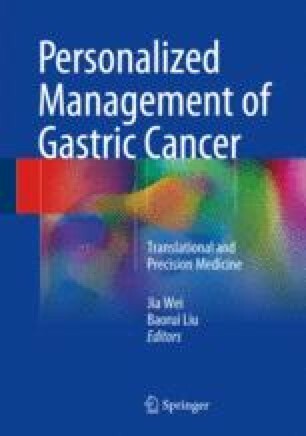 This chapter profiles ACT in cancer immunotherapy based on reliable data, some of which demonstrates the use of this cell therapy for the treatment of gastric cancer. Morgan RA, Dudley ME, Wunderlich JR, Hughes MS, Yang JC, Sherry RM, et al. Cancer regression in patients after transfer of genetically engineered lymphocytes. Science. 2006;314(5796):126–9. doi: 10.1126/science.1129003. Lee DW, Gardner R, Porter DL, Louis CU, Ahmed N, Jensen M, et al. Current concepts in the diagnosis and management of cytokine release syndrome. Blood. 2014;124(2):188–95. doi: 10.1182/blood-2014-05-552729. Posey Jr AD, Schwab RD, Boesteanu AC, Steentoft C, Mandel U, Engels B, et al. Engineered CAR T cells targeting the cancer-associated Tn-glycoform of the membrane mucin MUC1 control adenocarcinoma. Immunity. 2016;44(6):1444–54. doi: 10.1016/j.immuni.2016.05.014.